The Betrayal of Jesus. 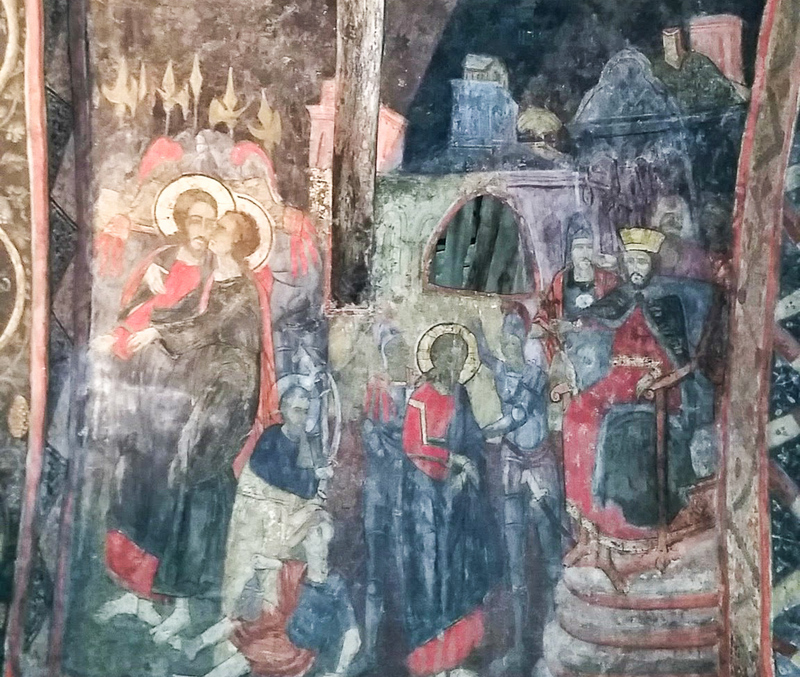 From a fresco in Bulgaria. My face I did not shield from buffets and spitting. if anyone wishes to oppose me, let us appear together. Who disputes my right? Let him confront me. See, the Lord GOD is my help; who will prove me wrong? This entry was posted in Christianity and tagged betrayal, Holy Week, Judas, Lent, Spy Wednesday on April 12, 2017 by frjfkauffmann. This entry was posted in Lent and tagged betrayal, Holy Week, Judas, Lent, Spy Wednesday on March 23, 2016 by frjfkauffmann.